Gifts of memories can be one of the most cherished of gifts because they are customized and personal. These types of gifts include making a scrapbook of the family history, compiling a comprehensive family photo album, or making a special family video featuring your loved one and customized with their favorite music. Many retirees believe today’s technology is a little too complicated for them, but many who have received these types of gifts have found that they love them. Gifts like iPads and iPods have opened a new door of entertainment and convenience for older generations. If you purchase these gifts for the retiree in your life, make sure that you also include your personal assistance in setting up these gadgets. One wonderful perk of retirement is the abundance of time. With this newfound supply of time, many retirees begin to explore the world outside their comfort zone. Encourage this with gifts of travel to new places. Plane tickets to see a new place is a great option if your budget allows, and if not, offering to take them out for a day trip to visit somewhere nearby but new is also an option. Gifts of food and drink can range from something as simple as a box of favorite chocolates, or as fancy as an ongoing membership to a wine club, where they will receive a new bottle of wine delivered to their door every month. A gift card to their favorite restaurant is also a good bet. Or if you would like to get a little more creative, find out their favorite edible goods and then build a beautifully decorated gift basket featuring all their favorite treats. Gifts that can be of assistance are the most practical gifts of all. Assistance can include anything from services like a weekly delivery of groceries to helpful products for the home like bathroom grab bars and a shower bench. Picking the best gift may be a little challenging, but don’t worry. 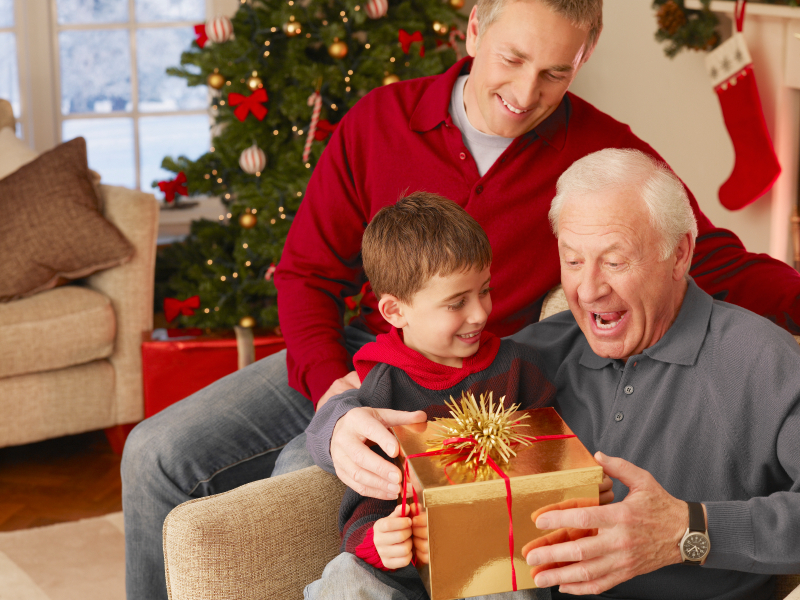 Whatever you end up choosing this holiday season will certainly prove to be a hit with your favorite retiree as long as your gifts are filled with thoughtfulness and love.